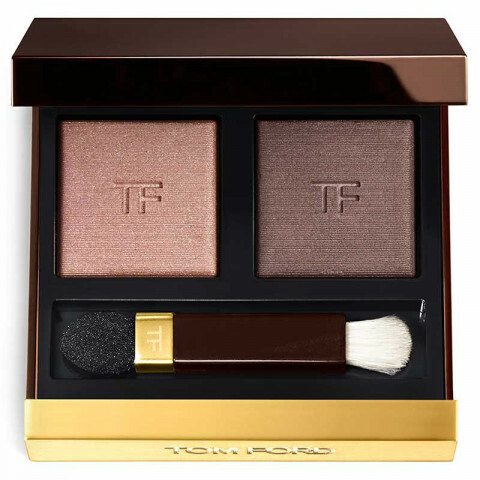 Tom Ford captures the essence of the runway with this limited edition AW 16 Eye Color Duo. The unique formula captures pigments and light on the eye and can be worn dry for a sleek metallic look or wet for a more colorful finish. It features one-of-a-kind technology that wraps concentrated pigments for a color-true, highly polished, multi-dimensional look. $60 for two eyeshadows but there is just something sophisticated about this duo. It doesn't matter what brush(es) you use, this duo will make your eye look seem polished and elegant! Lasts all day on my lids with primer too.